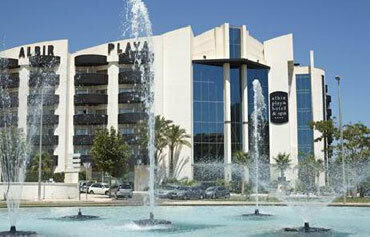 The 4 star Albir Playa Hotel & Spa is in a great location, just a few minutes walk from El Albir Beach. From the moment you arrive at this stylish and modern hotel you know you are in for a treat. Fountains and well tended gardens lead you into an impressive entrance hall with panoramic lifts. The pool scene is pretty special with a lagoon style swimming pool taking centre stage. Plentiful sun beds and sun terraces line the waters edge, the perfect spot to catch some rays. Palm trees offer welcome shade from the midday sun, while the pool bar offers cooling drinks in the summer months. The Senses Experience Health & Beauty Spa is a haven of tranquillity and offers a full menu of treatments and rituals for the mind and body. It is fun all the way for the children too, with their own pool, playroom and playground. Hop on the free transfer to the beach to build sandcastles or for an afternoon dip in the sea. Bedrooms are decorated in a contemporary style with a comfy sofa, wooden floors and spacious bathroom. When it comes to dining, there is plenty of choice. Dine buffet style in the main restaurant or indulge in gourmet cuisine in the a la carte restaurant. The hotel does not skimp on evening entertainment either, as it plays host to live music and shows when the sun goes down. Cutting edge facilities and elegant surroundings combine to make this one of the most popular 4 star hotels on the Costa Blanca. 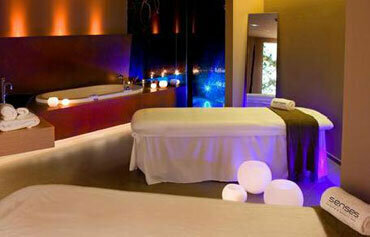 The Albir Playa Hotel & Spa has all the facilities you would expect from a 4 star hotel in Spain and lots more besides. Highlights include: a themed pool with waterfall, kids pool, sun terraces and outdoor Jacuzzi. Additionally there is a 24 hour reception, two restaurants, a dance hall, two bars, panoramic lifts, playground, spa, gym, laundry service, left luggage office, WiFi in public areas and in rooms, internet point, car rental and free shuttle service to El Albir beach (mid June to mid September). A full programme of daytime activities and night time entertainment for all ages complete the picture. The hotel has 162 modern and well equipped guestrooms. 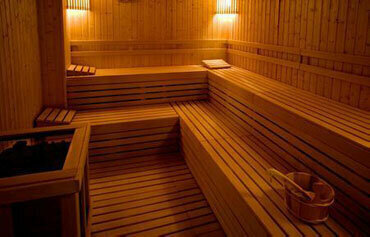 All rooms feature a spacious balcony with views, a double or two single beds, armchair and sofa bed, air conditioning/heating, wooden floors, free WiFi connection, fully equipped bathroom with hairdryer, LCD TV, telephone and room service. Mini bar and safe are available at an additional cost. A whole world of flavours is on the menu in the buffet style restaurant. Enjoy an a la carte meal for two in the poolside La Palapa Restaurant. Daytime snacks and drinks are served in the pool bar. The Lobby Bar is the perfect place for a nightcap. Evening entertainment consists of live music and shows. 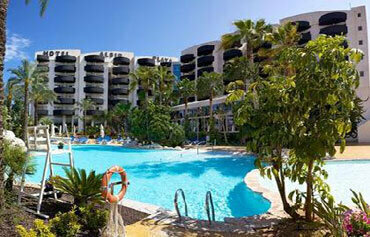 The 4 star Albir Playa Hotel & Spa is set in a peaceful location, 600m from El Albir Beach. The nearest golf course is 8kms away and a 10 minute drive will take you to Benidorm. 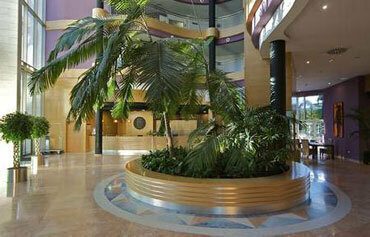 Alicante airport is approximately 58kms from the hotel.